PROVIDENCE, R.I. (October 30, 2015) - Governor Gina M. Raimondo, in partnership with Speaker Nicholas Mattiello and Senate President Paiva Weed, joined Volvo Ocean Race and Sail Newport today to announce the return of the Volvo Ocean Race to Newport in 2018. Rhode Island will again be the only North American stopover port for the grand prix sailing event. "We are thrilled to welcome the Volvo Ocean Race back to Rhode Island," Raimondo said. "We look forward to working together with Volvo Ocean Race and Sail Newport, across all levels of government to build on this year's success. Together, we will continue to showcase the Ocean State to the world as a premiere destination to visit and grow a business." Nearly 130,000 fans participated in Race festivities during the 13-day event last spring, with more than half traveling to Rhode Island from other U.S. states and abroad. According to a recent report commissioned by Sail Newport, the economic impact of the 2015 stopover on Rhode Island is estimated over $47 million. "The Volvo Ocean Race generated a great deal of excitement and activity for the City of Newport and our state this past spring, and I'm pleased the race will be returning in 2018," said Speaker Mattiello. "Having so many race participants and spectators from all over the world enjoy Newport is certainly a great thing for our economy." Senate President Paiva Weed said, "It is great news that the Volvo Ocean Race has once again selected Newport as its North American stopover location. This event showcases Newport and Rhode Island on the global stage as a world-class sailing destination. It attracts numerous visitors and generates considerable economic activity in the city. It is a credit to the hard work and collaboration of Brad Read and the Sail Newport team, as well as many partners in the public and private sectors, that state will once again host this magnificent event." "The 2015 Volvo Ocean Race showcased Rhode Island to a national and international audience, helping us to promote the Ocean State brand to visitors and businesses far and wide. Volvo's decision to return in 2018 creates an opportunity for us to generate a new wave of attention and activity. Volvo makes this commitment just as Rhode Island is ramping up a major new statewide tourism and business attraction campaign. Thank you to the Volvo team, Governor Raimondo, the General Assembly, DEM, and Sail Newport for their vision, leadership, and partnership," said Commerce Secretary Stefan Pryor. "The Volvo Ocean Race Newport Stopover brought an international spotlight once again to the first-class amenities and services we have in Rhode Island," said DEM Director Janet Coit. "Our state parks are beloved by Rhode Islanders and visitors alike. The historic Fort Adams State Park is a breathtaking venue that continues to attract top-notch sailing races and events and to contribute to the economic vitality of our state. This year's Stopover was a tremendous success, and we are thrilled to be hosting again in 2018." "We're delighted to be able to confirm that Newport will again be staging the race's only North American stopover before the fleet crosses the Atlantic to finish in Europe in the summer of 2018," said Race COO, Tom Touber. "Everything worked brilliantly in Newport in May thanks to the great work of Brad Read and his team plus the backing of the governor, legislative leaders and State of Rhode Island agencies, and we were delighted with the large amount of spectators from our major fan base in the U.S. and elsewhere, who supported the stopover." "Sail Newport, DEM and State Leadership, together with all of our outstanding partners, organized and hosted the most successful North American Stopover in Volvo Ocean Race history," said Brad Read, Executive Director of Sail Newport. "We did this as a non-profit organization combined with a whole lot of community heart and passion because we knew the event would be a remarkable success. I believe strongly that tourists, fans, sponsors and media will travel from all over the world to Rhode Island to be a part of the next Newport Stopover. Everyone wants the race back. The State, the marine, business and education communities and all of the race fans will follow the race until it arrives back at Castle Hill in May of 2018." 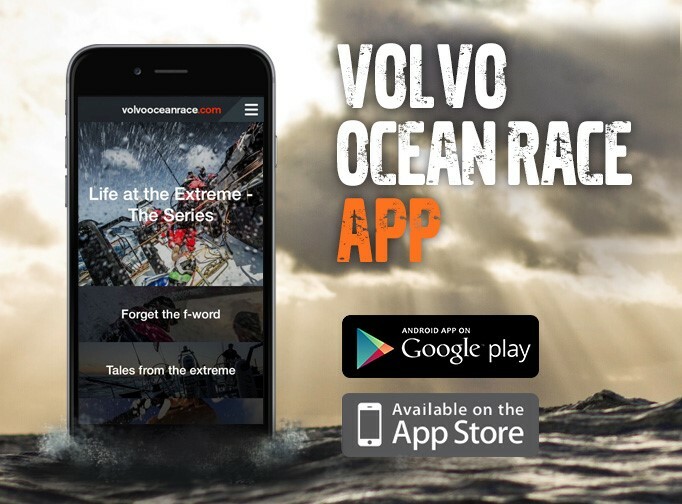 The Volvo Ocean Race is a 38,739 nautical mile round-the-world competition. Newport is the seventh port to be confirmed for the 2018 Race. Dates for the fleet's visit to Rhode Island will be announced in 2016, with the announcement of the full Race route.